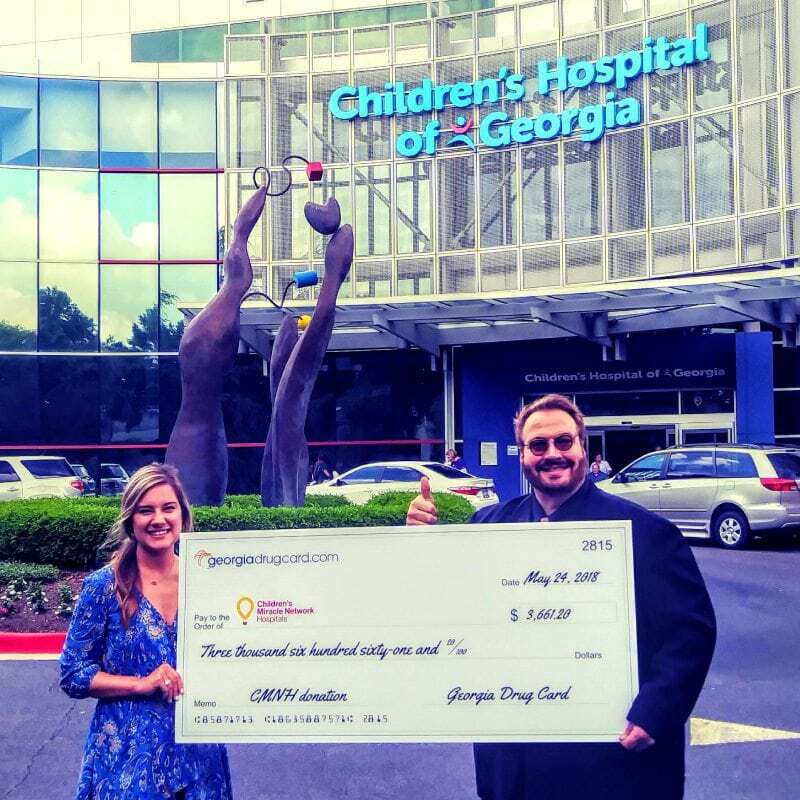 Grace Carryl, Coordinator with Children’s Hospital of Georgia (left) and Mark Crouch, Georgia Drug Card Representative (right). Since 2015, the United Networks of America partnership with Children’s Miracle Network Hospitals has raised over $2.4 million dollars for local children’s hospitals. Of this, $3,661.20 has been raised for Children’s Hospital of Georgia.